Male or female describes the kind of human we are. It is a specific description of our physical and spiritual being. It is also a vocation. Our maleness or femaleness is a way for us to live with purpose and bring glory to God. 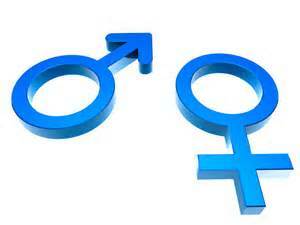 God did not create male and female in the same way, at the same time, or for the same purpose. The man is the steward and manager of creation. It wasn’t good for man to be alone in this endeavor. He looked at all the animals, but none was an appropriate companion. Man needed someone who would complement him–someone who was like him in spirit, but different in function and purpose. He needed a “helper.” “I will make him a helper fit for him,” God declares (Gn. 2:18). “Fit for him” (Hebrew: keneged) literally means “opposite him, facing him, in front of him, corresponding to him.” The two types of human beings–male and female– are different in a multitude of ways. One of those differences is sexual, but there are other compatible differences. There is more to male and female than “sexuality,” “sensuality,” or anything related to the intimacy of the sexual act. Men and women, married or single, can relate to one another in completely non-sexual ways and, in doing so, use their thinking skills and talents for the good of society. It is folly to think of every interaction of male and female as being sexual in nature. What an abhorrent mess that would be! Being male and female is not so much sexual as it is the partnering of our complementary differences to bring glory to Jesus Christ and affect the culture for good.